Jamaica’s Prime Minister Bruce Golding, in a mood of atonement, announced Monday night that the US extradition request for alleged drug dealer and gun runner, Christopher ‘Dudus’ Coke, is to proceed. Rumours of the decision to allow the process had created a tense atmosphere in Kingston, the Jamaican capital, where government offices, the courts and businesses in the downtown area closed at mid-afternoon as protests erupted in Golding’s West Kingston constituency where Coke is regarded as the community leader or don. In a nationwide radio and television broadcast, Golding sought to diffuse the issue which has caused wide cross-sections of the Jamaican civil and political communities to call for his resignation. Many saw his government’s fight against the request received in August 2009, as proof that his Jamaica Labour Party was jeopardizing the country’s interest for that of a party supporter, while confirming suspected links between organized crime and political parties. 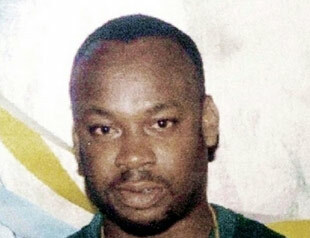 “I crave your understanding, the government has never refused… never refused… the request for the extradition of Christopher Coke,” Golding said. “It has simply asked the US authorities to provide additional information that would enable the Minister to issue the authorization in compliance with the terms of the treaty. In the controversy that has ensued, we sought the opinion of one of Jamaica’s most eminent lawyers, Dr. Lloyd Barnett, who advised that the issues involved were not sufficiently settled in law, and therefore the Attorney-General should seek a declaration from the Court before exercising her authority. “I wrestled with the potential conflict between the issues of non-compliance with the terms of the treaty and the unavoidable perception that because Coke is associated with my constituency, the government’s position was politically contrived. I felt that the concepts of fairness and justice should not be sacrificed in order to avoid that perception. In the final analysis, however, that must be weighed against the public mistrust that this matter has evoked and the destabilizing effect it is having on the nation’s business. Accordingly, the Minister of Justice, in consideration of all the factors, will sign the authorization for the extradition process to commence. My fellow Jamaicans……I have spent the last several days in deep contemplation about the issues that have caused so much anxiety throughout the society including the reaction to my statement in Parliament last Tuesday and the events and circumstances that led up to it. I have listened very carefully to the views expressed by members of the public. I have also consulted with my Cabinet and parliamentary members, the party organization and various civil society groups. I thank those who have expressed their support and have urged me to find a way to deal with these matters and to put them behind. I respect the views of those who feel that, in the circumstances, I should step aside. I have asked God to guide me in my response and the decisions I must make. I regret the entire affair and it has been deeply painful for me, members of my family and you who have been hurt and disappointed. In hindsight, the party should never have become involved in the way that it did and I should never have allowed it but I must accept responsibility for it and express my remorse to the nation. The way in which this matter has been handled has raised the question of trust. Several persons and organizations have expressed their disappointment. I should not have been surprised because I had raised the bar as to what they should expect of me and what has transpired has fallen short of their expectations. And here I want to personally thank the wide cross section of persons who took the trouble to write to me, not all complimentary but all expressing the deep anguish that they experienced over what had transpired. Others have offered their prayers and to all I am deeply grateful. I am aware that trust can only be restored by forgiveness and atonement. That will take time and I am committing myself to do everything that is humanly possible to repair the damage that has been done to that trust. In return I ask for your forgiveness. This matter of the extradition has consumed too much of our energies and attention and has led to a virtual paralysis that must be broken. I crave your understanding, the government has never refused… never refused… the request for the extradition of Christopher Coke. It has simply asked the US authorities to provide additional information that would enable the Minister to issue the authorization in compliance with the terms of the treaty. In the controversy that has ensued, we sought the opinion of one of Jamaica’s most eminent lawyers, Dr. Lloyd Barnett, who advised that the issues involved were not sufficiently settled in law, and therefore the Attorney-General should seek a declaration from the Court before exercising her authority. I wrestled with the potential conflict between the issues of non-compliance with the terms of the treaty and the unavoidable perception that because Coke is associated with my constituency, the government’s position was politically contrived. I felt that the concepts of fairness and justice should not be sacrificed in order to avoid that perception. In the final analysis, however, that must be weighed against the public mistrust that this matter has evoked and the destabilizing effect it is having on the nation’s business. Accordingly, the Minister of Justice, in consideration of all the factors, will sign the authorization for the extradition process to commence. The engagement of Manatt, Phelps & Phillips by Mr. Harold Brady was an effort to secure assistance in resolving the stalemate because the party was concerned about the negative effect it was having on relations between Jamaica and the United States . I sanctioned this initiative but made it clear that it was to be kept completely separate from the government. As I later discovered, those instructions were not followed. Having sanctioned it, I cannot escape responsibility for it or the developments that have ensued although I was not myself involved in those activities. When I was asked in Parliament whether the government had engaged the services of Manatt, Phelps & Phillips, I answered truthfully and definitively that it had not done so. It is felt that I should, there and then, have acknowledged the party initiative led by Mr. Brady. On reflection, I should have and tonight I express my profound regret and offer to the Parliament and people of Jamaica my deepest apologies. It took time for me to make my statement last Tuesday because of the efforts I had to make to find out exactly what had transpired in this Manatt, Phelps & Phillips affair. I felt I had a duty to make that statement and I spoke on the basis of the information that has been presented to me. The business of the country and the challenges that we have to overcome require that they be tackled with urgency and unquestioned authority. The economic programme that has restored stability after the tumultuous impact of the global recession and is showing early signs of recovery requires firm hands and certain leadership. The transformation of the government to improve the delivery of services despite the budgetary constraints and the stimulation of the investments that are needed to restore the jobs that were lost and create new ones require strong management unfettered by the ghost of the recent ordeal. The worrying crime problem must be confronted with vigour, confidence and determination. The social partnership being built through the Partnership for Transformation to bring a new collaborative and consultative approach to policymaking requires commitment and direction. Yesterday, I indicated to the Central Executive including my parliamentary members that I was prepared to step aside as Prime Minister. A new Prime Minister would need to be assured of the support of the Party and a Special General Conference would have to be convened to elect a new leader so that a new Prime Minister can be appointed. The offer was rejected and I was asked to reconsider. I know that to continue requires on my part a recommitment to the purposeful change that we had promised. I thought deeply about it last night and recognized that if I am to continue it cannot be business as usual. We have done well on some fronts but there are issues such as crime and violence to which much more effort and determination will have to be brought. Our legislative programme on which so much of our manifesto commitments were based will have to be renewed. Tough and uncompromising measures to deal with the pervasive crime problem and to stamp out corruption will have to be matters of urgency. I will be tabling in Parliament the proposals emanating from the Public Sector Transformation Unit for the restructuring of government to invite public comment before a final decision is taken. I intend to transfer some of my portfolio responsibilities to other Ministers to enable me to focus more on the issues that drive change and transformation. Fiscal responsibility legislation to, among other things, exert control over our fiscal deficit and accumulation of debt. However, having to grapple with the effects of the global recession consumed so much of our energies that we have not been able to move as fast as I would have liked on some important elements of the reform package. Measures to reverse the institutionalization of political tribalism and garrisons as manifested in many constituencies across political lines including my own constituency, an issue I propose to anchor in the Partnership for Transformation and with a commitment to implement the recommendations. I intend, also, to seek parliamentary approval for the anti-crime Bills, the DNA Evidence Act and new criminal gang legislation to strengthen our capacity to fight crime including measures to prevent the award of government contracts to individuals linked to criminal activities. The nation’s business cannot continue to be disrupted and distracted by the ordeal of the last several months. We must put it behind us and move on and I hope that after tonight we will be able to do so. And we must do so with humility. Our lapses at times into what comes across as arrogance and disrespect must not be allowed to happen, for we are the servants of the people. Again, I express my regret to those who were offended. There is much that we have to accomplish as a people and many serious challenges that must be overcome but, together, we can make it work and ensure that our people enjoy a better life. May God continue to bless Jamaica and provide the strength and support we all need. Relent? That is a very polished way of putting it. No vaseline! Great soap opera type presentation by Mr. Golding. Of course this is real life and decency demands that we are not frustrated by having to see Golding’s lips move but our mind set to the default status of – He’s lying again! It’s a start and what WE needed to hear. As the PM and the JLP was going down for the count and had no choice but to relent and clean house, WE must not invoke a self-fulfilling prophecy of failure, but WE must give him and our JLP and PNP parliamentarians our support to make REAL CHANGE. (a) Deeply entrenching our Fundamental Rights and Freedoms to promote “True Respect for All” and prevent autocratic, dictatorial, and totalitarian oppression (i.e., changeable only by a referendum or 4/5 approval vote of both houses). (b) Direct election of Senators to give them the independence to better act as a review chamber and not a rubber stamp due to the ruling party’s automatic majority of appointees (i.e., 2 Senators per parish). @ Richard Williams – The charter of rights bill presently before parliament does not advance the rights of citizens of Jamaica one inch. Giving a deceptive snake a chance only delays the timing of his next attack on you – it doesn’t prevent it. Oliver – I did not write about the charter of rights bill presently before parliament. I too have my concerns as it may have been copied from other documents without analysis. However, whether it advances the rights of citizens of JA or not, is not my point. My point is that whether WE choose that constitutional amendment proposal or mine (that was submitted to the Joint Select Committee of the Houses of Parliament in the 1980’s, publish in the newspapers, and read over a major radio station) we need to “deeply entrench” our rights to prevent a derelict government from easily taken away what little rights we have with a simple majority vote or an executive order. Whenever an article in a constitution is said to be deeply entrenched, only a four-fifths (4/5) vote (a supra majority) of the House and Senate, or the majority vote of the people in a referendum, can change our rights. As it currently stands, our rights can be easily and legally be taken away from us by a few. Our constitution does have some checks, but they are weak, and usurp power away from the People to parliament. The inability to readily prosecute the extrajudicial killings by so-called peace officers stems from this problem. We inherited this problem from our colonial past as a way to protect the plantation class’ interest and to suppress our people. It allows brutality on our citizens (e.g., police kicking down doors and shooting first; never being convicted as they were on their job and have qualified immunity from prosecution. The deceptive snake has been exposed and it now knows that WE are no longer immature or ignorant. When Bra Tiger became privy to Bra Anancy’s tricks, they had no choice but to work together to cross the river, as individually, they would fail. There was no usurping of power from the people to parliament. The constitution gave the people no power to begin with , it gave it to parliament. Its good to know you have faith in reptiles – I prefer to get rid of them.